At the core of the club activity is a wide variety of sailing from beginners' training through competitive racing to leading edge boat development. If you are keen to just try sailing or want to pit your skills against some of the best sailors in the country, we have an activity for you. For absolute beginners or for those seeking to improve their skills, we have a wide variety of formal and informal training. 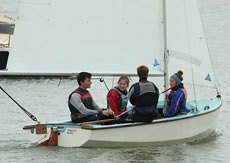 Visit our Sailing School area to learn more. There is racing at the club from March to end December. 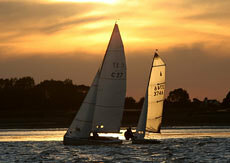 This includes fleet and handicap racing on weekends and evenings. Visit our Racing Calendar to see what is coming up. From May to August we run informal supported sailing sessions on Wednesday and Friday nights aimed at encouraging everyone to enjoy being at the BSC beach and the simple pleasures of messing about in boats. The sessions are timed to coincide with evening high tides and there are opportunities for adults, families and ladies, so everyone is catered for. Wednesday evening Learn To Sail sessions are designed to give adults wishing to improve their sailing a chance to get on the water with coaching support as required and the events also include some fun Rookie Races for those who fancy trying racing in an informal environment. The Friday Night Family Fun and Women on Water sessions are for all ages and as well as social sailing there are special Try Sailing and Women on Water opportunities too. The bar is open for the Friday evening sessions and weather permitting we fire up the BBQ too (or if the weather is bad we get creative in the galley!). 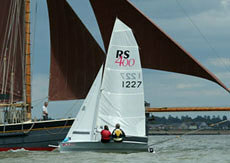 Visit our Club Sailing calendar for this season's dates. For those who want to potter or strike out for a local port, there are a groups of members who love nothing more. Visit our Cruising section to join in the fun. If you love an adrenaline buzz and you have a technical bias we have an active group of developers. Read more under Technical Development.